I own a lot of Gutermann seed beads and I needed to figure out a way of using them up so I could make space for Toho beads. At first, I wanted to make a blue morpho butterfly, but I didn’t own any black seed beads, so that’ll be a project for some other time. 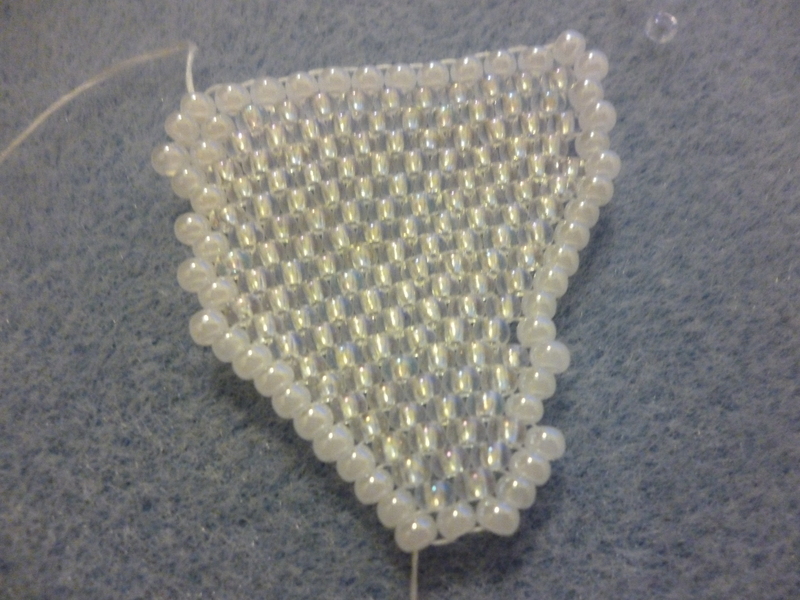 Instead, I decided to use the pearl white and iridescent white beads. 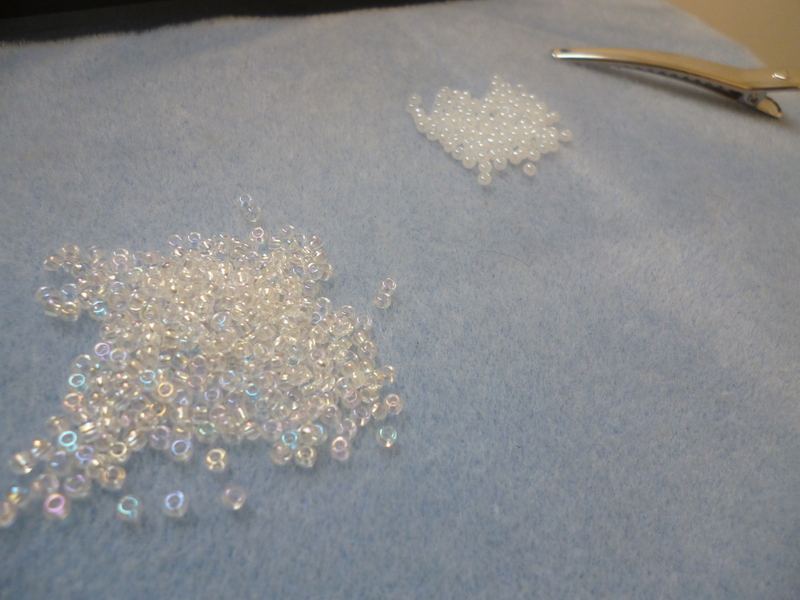 Here comes a strange choice – I opted to use nylon thread to bead. Why? 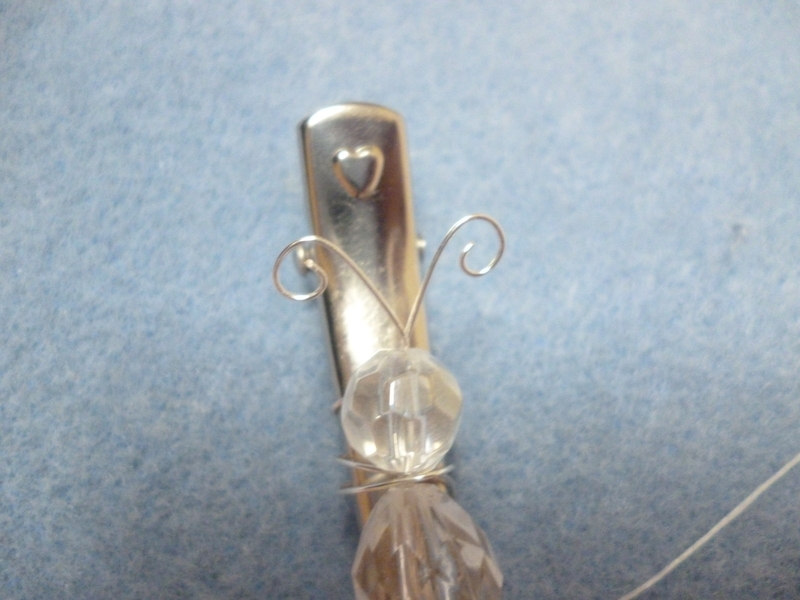 I find it easier to work with, but wire thread probably would have been more ideal for shaping the butterfly. A tip is to try and draw out the bead template for what you want to make. It takes much longer if you try to improvise and end up having to go back a few rows. I used brick stitch and started with the bottom-left wing. Here, I wanted to make tails and have the wing increase at body level. Next is the top-left wing. 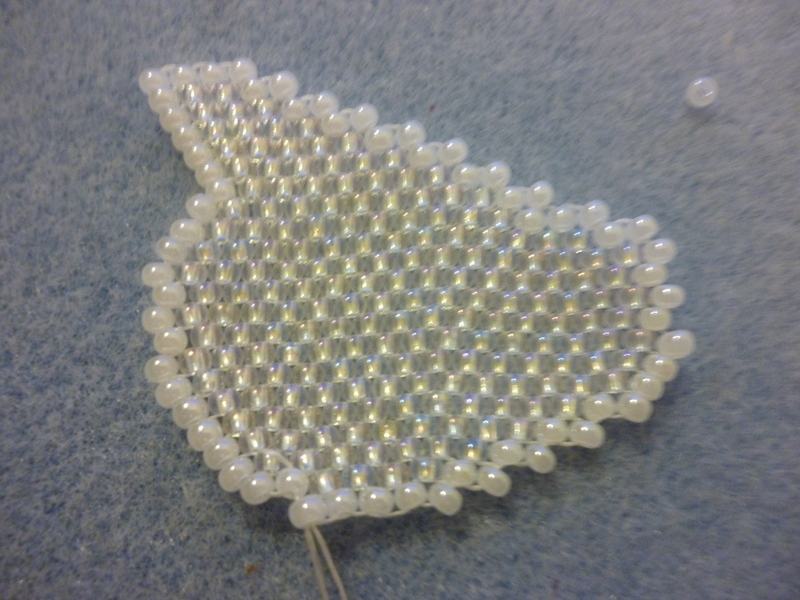 This one was trickier because you have to alter the width of the wing to achieve a decent sloping effect, which involved adding extra beads per row. You can see how they don’t really sit well on the row, but it was the best I could manage. Then I made exact copies of these wings to complete the set. Here’s the concept of what I wanted the hair clip to look like. 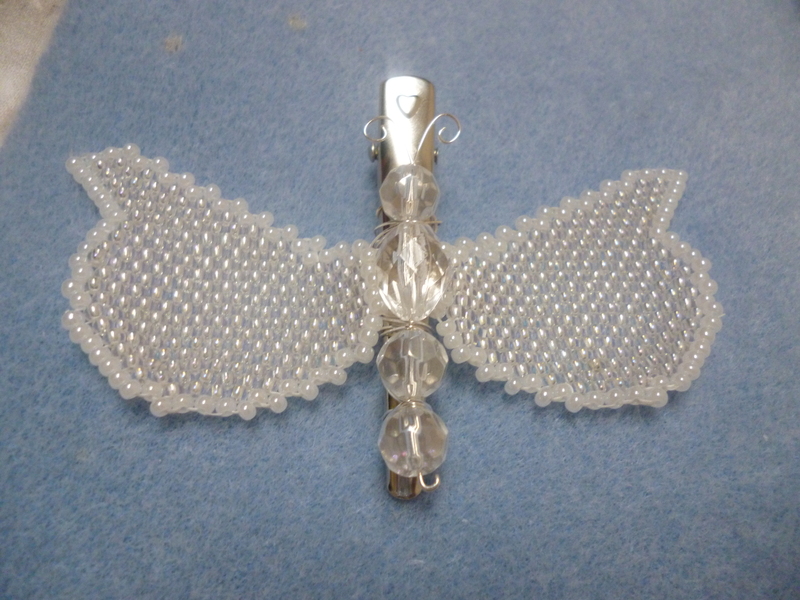 I got some larger clear beads for the body, and attached some smaller ones to the bottom of the lower half wings. 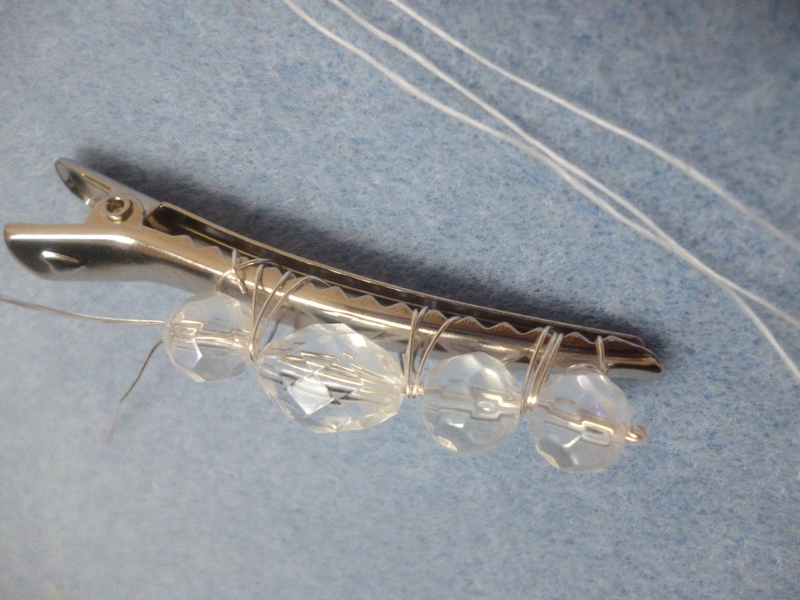 I threaded the main body beads to thin wire folded in half, and bent the bottom. I cut the wire from the spool and left a little bit for antenna. 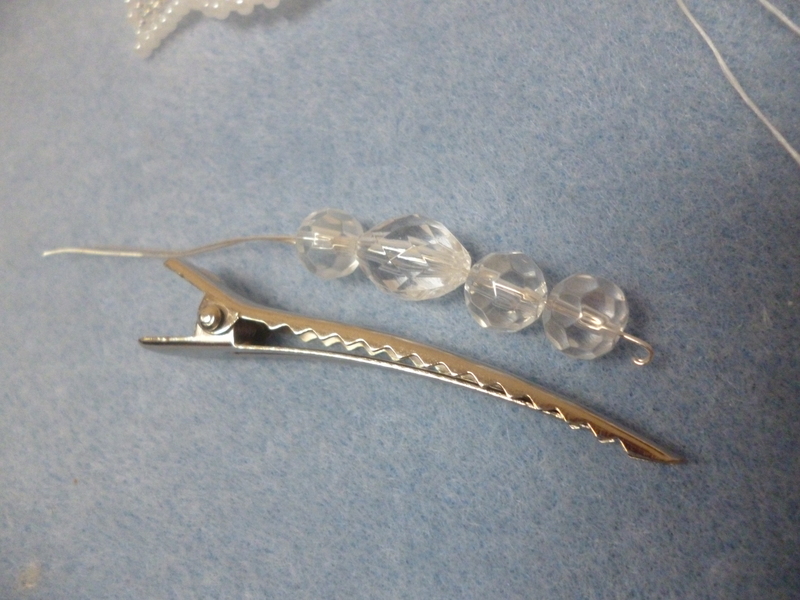 I attached the body to the hair pin using wire thread, going around the parts between the beads, and tucking the ends underneath. The I curled the antenna wires. Now, attaching the wings was the tricky part. 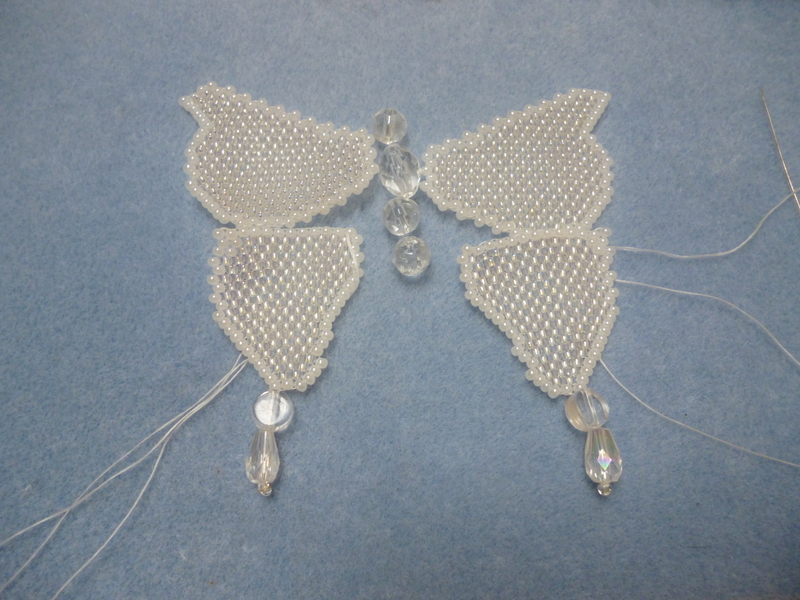 Since I chose to use nylon thread, the wings lacked any form to them and couldn’t hold up by themselves. So I used the trailing threads to attach each pair of wings to each other underneath the body. The overall result is that the butterfly sits on your head, so it is best worn near the middle of your head. By the way, this took me a grand total of three weeks to make, because I had no clear goal in mind, so planning is essential in these kinds of projects. 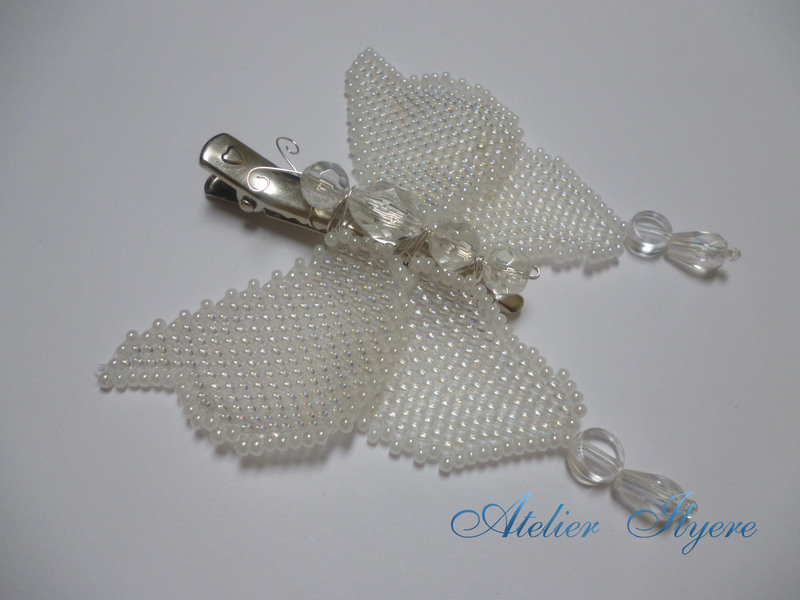 This entry was posted in Beads, Hair accessories, Jewellery, Process, Thread, Wire and tagged Beading, Beads, Butterfly, Hair accessory, Hair clip, White. Bookmark the permalink.